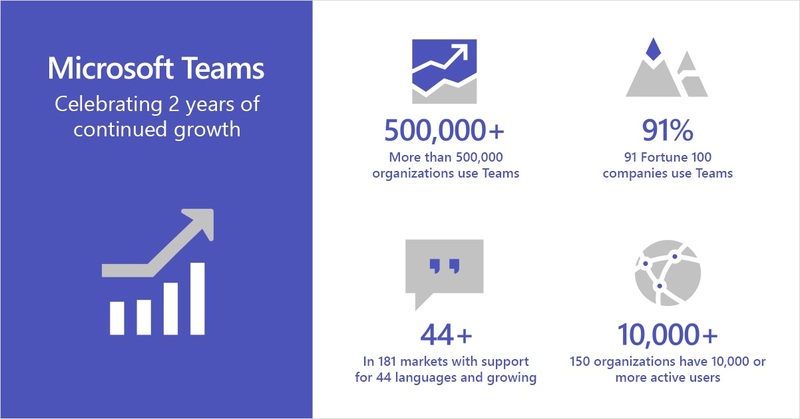 At the Enterprise Connect conference, Microsoft announced that Teams is now used by 500,000 organizations. That’s a jump of 80,000 since the last data given in January. 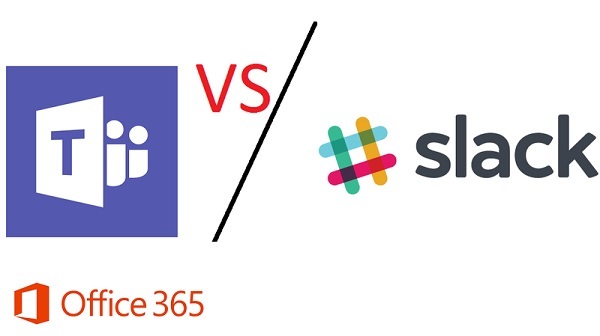 They also said that 150 organizations have more than 10,000 users and that Teams is used by 91 of the Fortune 100. All in all, some impressive numbers. Microsoft announced that the era of favorites and following is over for Teams. 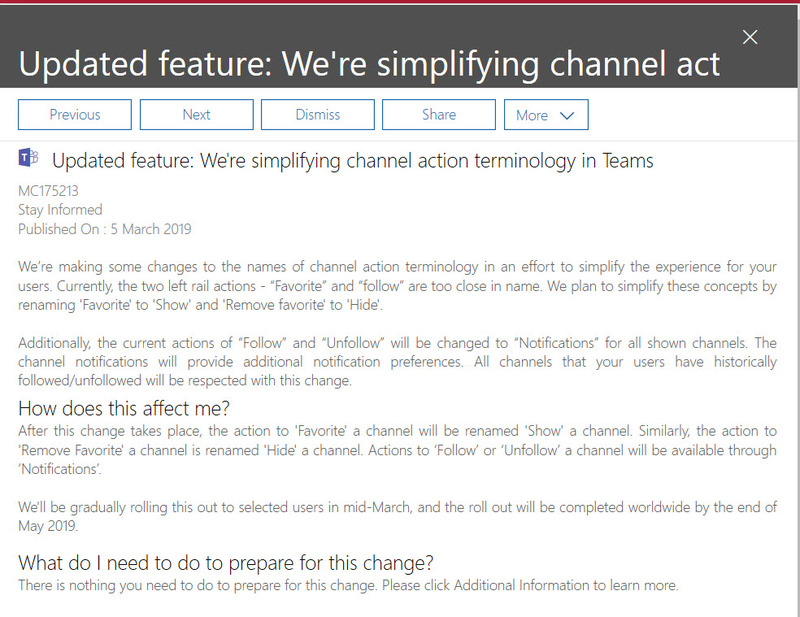 The new way is to show or hide teams and configure notifications for channels. Apparently, people found the old terminology confusing. Hopefully the new world of Show/Hide and Channel notifications will be more reassuring. 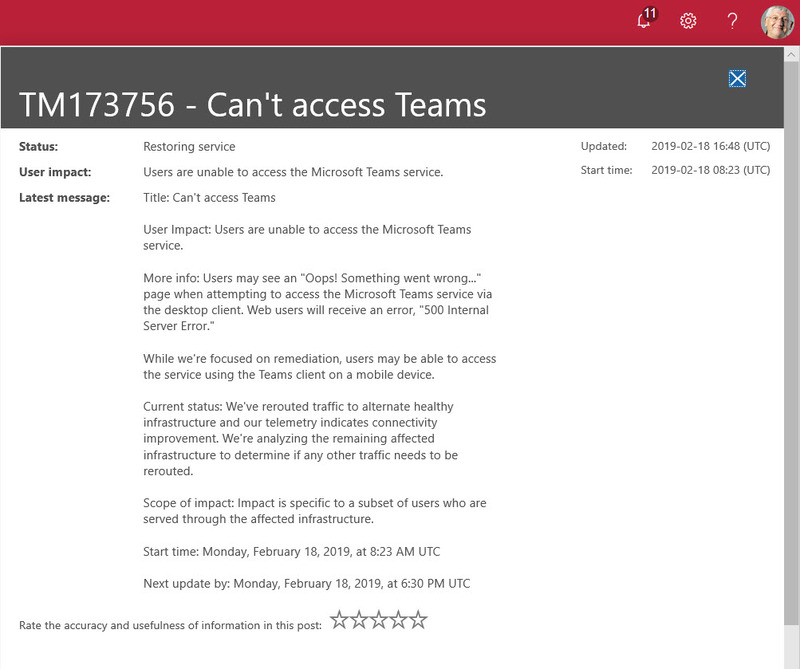 Microsoft Teams suffered its first major worldwide outage on 18 February 2019. Users reported a failure to connect because Teams couldn’t authenticate them. The Post-Incident report for TM173756 revealed an issue with the Azure Key Vault. What’s more interesting is that the issue affected users in multiple Office 365 datacenter regions, which is not good. In one of those interesting (but possibly worthless) facts discovered about Office 365, we find that audit records are captured for Teams compliance records written into Exchange Online group mailboxes. 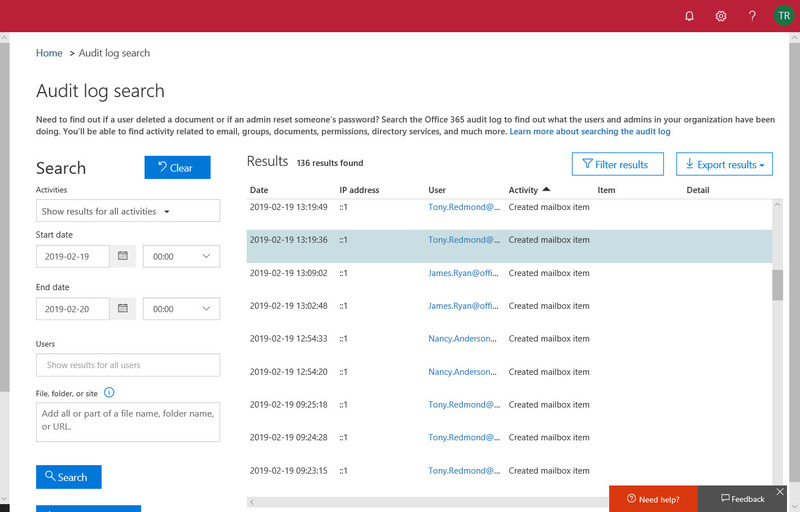 The Search-UnifiedAuditLog cmdlet reveals details that we can interpret using some techniques explained in Chapter 21 of the Office 365 for IT Pros eBook.